Great news folks! 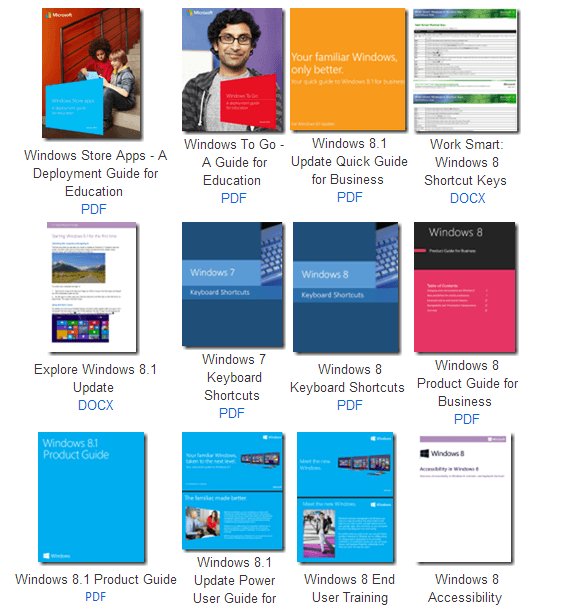 Microsoft has released a new batch of eBooks that you can download for FREE. Most of the eBooks are available in PDF format while there are also those that you can download as ZIP, MOBI, DOCX and EPUB. The list includes a variety of helpful resources that covers a wide range of topics. There are free eBooks for Windows 8.1, Windows 8, Windows 7, Office 365, SharePoint 2013, PowerShell, Azure, Cloud, Dynamics CRM, SQL Server and a whole lot more. Speaking of which, below is the full list of eBooks that you can download. There are over 300 free new eBooks, so feel free to choose the ones that you want — simply click on the links below to start downloading! That’s not all. You are also entitled to downloading more free eBooks such as the ones listed below. So that’s it. Just click any of the download links above to start your download.